Today, Coutinho returned to Melwood and first-team training for the first time since the international break, in which he featured for Brazil in both matches. Previous to that, our no.10 sent the fanbase into meltdown after emailing in a transfer request the day before Liverpool’s season started – and seemingly feigning a back injury which kept him out of our first five fixtures. But Liverpool refused Barcelona’s multiple bids and told Coutinho in no uncertain terms that he was to report to first-team duty. 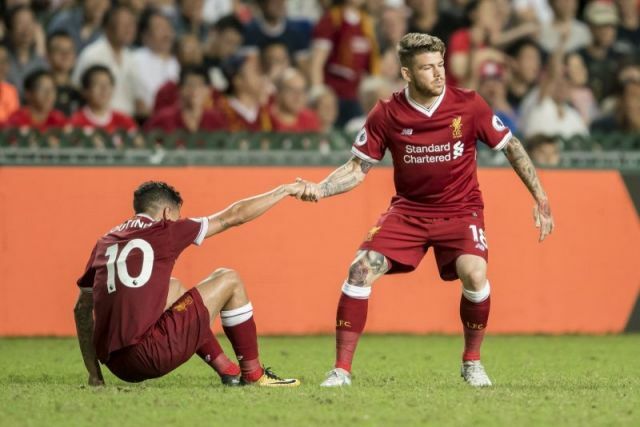 He’s done just that and team-mate Alberto Moreno shared a video of the two – smiling broadly. Although it looks like Phil has got the Bobby Firmino white-teeth treatment, it’s great to see! The only question is, will he start against Manchester City on Saturday…?